Often one barely has time to come to terms with the loss of a loved one before being overwhelmed by the pressures of taking care of an estate. Questions you may ask yourself are: Who will get an inheritance? What do I do about family disagreements? Where did the deceased hide the Will? What are my responsibilities as an Executor? Estate administration begins after you die and continues whether you had done estate planning or not. Estate administration is the process by which your assets are collected and distributed after all debts are paid. Estate administration can last from several months to several years, depending on how complex your estate is, the ability of your executor or administrator to locate your assets and your family, and whether there are any disputes or disagreements. If you do not have a Will, the court process is called an "Administration Proceeding". The representative for your estate is called the “Administrator.” The legal document that makes that person the administrator is called the “Letters of Administration.” The court will choose an Administrator based on who is available. The court makes the decision in the following order: spouse, children, grandchildren, parents, and siblings. If you have multiple heirs on one level, like brothers and sisters, the court will usually name them as Co-Administrators; or, the Surrogate’s Court may name a person as administrator if all the heirs agree, even if that person is not first in priority. However, everyone in line above the person who asks to be administrator must agree in writing before the court will go out of order. The Keller Legal Group will provide assistance from beginning to end, from filing the petition to appointing the executor/personal representative, securing the property, preparing the estate tax returns, disbursing estate proceeds to heirs, and producing the final accounts to the court. We are also available to serve as executor and/or trustee. Forward thinking, avoiding conflicts and anticipating problems when creating an estate plan is important. For some families the settling of an estate leads to estrangement between their descendants. Heirs may become possessive, greedy and argumentative and long submerged sibling rivalries can come to the surface. In other cases ex-spouses, domestic partners, girl friends or boyfriends, caretakers, or entities that were promised a share of the estate try to claim their share. Most people do not want their last wishes to cause a problem. Most times there are good reasons why inheritances are not equally divided, but sometimes they are used as punishment. One child may have greater financial success or be married to a wealthy spouse while another may work hard but be in a low-paying profession, while another child may have a disability. There are children who borrow money and there are children who have been uncompensated caregivers. Whatever the situation may be communication and sharing your decisions while you are still able to change your plans is important. You might consider including a provision that explains your decisions that can help resolve unanswered questions in a less expensive manner. A lawsuit that is brought to challenge the validity of a Last Will and Testament, is referred to as a Will Contest, and can only be filed by a limited number of people and entities involved in the Testator's life. In legal terms this is referred to as "standing," or the requirement that a party involved in a lawsuit will be personally affected by the outcome of the case. There are four general legal grounds for contesting the validity of a Will. (1) The will wasn’t signed in accordance with applicable state laws;(2) the Testator lacked testamentary capacity to sign a Will; (3) the Testator was unduly influenced into signing a Will; and (4) the Will was procured by fraud. The Keller Legal Group handles both pre-planning mediation and Will Contests. If you would like to discuss further please call our office for an appointment. The Executor is the person or bank or trust company named in a decedent's Will to carry out the provisions of the Will and administer the decedent's estate. A decedent is someone who has died, and the decedent's "estate" is all of the property owned by that individual at the time of his or her death. A Testator (the person that wrote the will) can appoint more than one Executor. Being the Executor of a Will is a major responsibility and can be held personally liable. Being an Executor entails a significant amount of work and the person chosen should be trustworthy, responsible, organized and diligent. New York law provides that Executors are entitled to commissions for their services, which are paid from the estate unless waived by the Executor. Executors get paid commissions and are calculated as a percentage of the value of the "probate estate," less certain items. The Keller Legal Group can assist the Executor and complete a good portion of the work for the Executor. If interested please call our law office to schedule our appointment. After a person dies, their property (also called the estate) must be divided. When a person dies with a Will, it is said that they died testate. If there was no Will, then they died intestate. Depending on what kind of estate proceeding was filed, this person is called different things. In a probate proceeding, this person is the Executor. This person is named in the Will. In an administration proceeding, this person is the Administrator. In general, this is the closest relative to the person who died. In a small estate proceeding, also called a voluntary administration, this person is the Voluntary Administrator. In general, this is the closest relative to the person who died or the named Executor if there is a Will. The fiduciary is appointed by the judge in Surrogate's Court and may be represented by a lawyer if they wish. Executors, Administrators, and Voluntary Administrators are fiduciaries and have a fiduciary duty to the estate. This means that they have a legal duty to act faithfully towards the estate and not put their interests ahead of that duty. 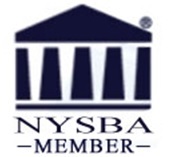 The NY Surrogate's Court may require that a fiduciary be bonded before they are appointed. A surety company issues a bond and it acts as an insurance policy that provides security of the estate's assets. In this way, if the fiduciary does not take care of the estate, then the bonding company will be required to reimburse the estate for the loss. The bonding company will then try to recover the lost assets from the fiduciary. Executors must carry out the wishes of the person who died as stated in the Will. Administrators and Voluntary Administrators must settle the estate according to New York State laws of intestacy. Fiduciaries are responsible for protecting the property until all debts and taxes are paid and to promptly and efficiently administer the estate. In general, fiduciaries have three responsibilities: (1) collect, inventory, and appraise all the assets of the estate; (2) pay the bills, taxes, estate expenses, and creditors of the person who died; and (3) transfer property according to the Will or, if there is no Will, then according to the law. The Keller Legal Group can assist and advise fiduciaries with their tasks. If you need our help please contact our law office today to schedule an appointment. A person who dies without a will is said to have died “intestate”. Because the deceased person left no direction on how to dispose of their assets, New York law provides for how those assets will be distributed among the surviving members of the decedent’s family. A certified copy of the death certificate needs to be filed with the administration petition and other supporting documents in the Surrogate’s Court located in the county in which the decedent was domiciled (had their primary residence). There will be a filing fee based on the size of the estate. As mentioned above, New York law determines the order of inheritance of your property. The law uses the term “issue” to mean any descendant of a common ancestor. Your issues are your biological and adopted children, and also your grandchildren and great-grandchildren if their parents have died before you. You, your brother, and your sister are all issue of your parents and grandparents. Your spouse is not the issue of your family. Your spouse is issue of his or her own parents and grandparents. If you have a spouse and issue who are still living: First, $50,000 goes directly to your spouse. Then half of the remaining money and/or property go to your spouse and the other half is divided among your issue evenly. If you have a spouse who is living but no living issue: All your money and property goes to your spouse. If you have no living spouse, but you have issue who are living: all your money and property is divided evenly among your issue. If you have no living spouse or issue, but you have living parent(s): All your property and/or money goes to your parent(s). If you only have living issue of your parents (your brother(s) and/or sister(s) or, if they are not living, their issue): All your property and/or money is divided among your brother(s) and/or sister(s), or, issue of your predeceased brothers and sisters. If you only have living grandparent(s) or, if your grandparents are not living, their issue (your aunts, uncles, and first cousins: One half of your property and/or money goes to your father’s parents or to their issue and the other half goes to your mother’s parents or their issue. If there is no one living on one side, all goes to other side. If you only have living great-grandchildren of your grandparents (i.e., you have no living first cousins but there are living children of predeceased first cousins): One half of your property and/or money goes to the great-grandchildren of your father’s parents and the other half goes to the great-grandchildren of your mother’s parents. If there are no great-grandchildren on one side, all goes to the great-grandchildren on the other side. If you have none of the living relatives listed above (i.e., you have no living first cousins and no living children of first cousins): All of your property and money goes to State of New York. The Keller Legal Group handles a wide variety of issues regarding estate administration. If you need our help contact our law office today to schedule an appointment. When a person dies without a will or the will is found to be invalid under New York law, the person (the decedent) is said to have died intestate (without a will). Any assets, which were held in the decedent’s sole name at the time of death, must be distributed in accordance with New York Intestate Laws. This can be problematic when there are no close family members such as a surviving spouse, children, grandchildren, parents or siblings because the Court-appointed administrator doesn’t know who to distribute the estate assets to, unless a distant family member comes forward. Matters deciding whom the decedent’s next of kin are often left up to the New York Surrogate’s Court to decide. This decision may not be in accordance with what the decedent had intended. However, the heir must legally prove that they are related to the decedent before the administrator is allowed to transfer any of the decedent’s assets. If no heirs are found, a decedent’s assets could end up being transferred to the State of New York. Often times, heirs will hire a probate or estate attorney to represent them at the kinship hearing. These matters are usually complex and having the proper legal representation can be beneficial in ensuring a more favorable outcome of the matter for the heir. Since an heir may only get one opportunity to make a claim to the estate assets, it is important that the matter is handled properly. The Keller Legal Group can assist you with Kinship Proceedings as well as assist you with other estate and estate tax matters as well. Please call our law office today to schedule an appointment. Letters Testamentary appoint a person as Executor, and Letters of Trusteeship appoint a person as Trustee of a trust created under the Will. Letters testamentary are official papers issued by the probate court that provide an executor with the legal authority to administer the deceased person's estate. As part of his duties, the executor must collect the assets of the deceased, which may be in the possession of another person or institution like a bank. The letters, often in conjunction with a death certificate, act as the official credentials presented by the executor, allowing them to take possession of the property on behalf of the estate. The executor can then complete their duties, which typically include appraising the assets, paying off any outstanding debts and then transferring the property to the beneficiaries according to the terms of the will. If a person dies without a valid will in place the probate process begins by filing an application for letters of administration. The Keller Legal Group can assist you with all aspects estate and trust administration. Please call our law office to set up an appointment. Probate is the process of proving that the Will is valid. During probate, the Will is proved to the satisfaction of the court that it's the Last Will and Testament of the person who died. Once the Surrogate (the judge in Surrogate's Court) is convinced of the validity of the Will, the Executor named in the Will is appointed to distribute the estate and carry out the wishes of the person who died. The Surrogate's Court oversees this process. During probate, all beneficiaries are notified about what they are entitled to receive under the will. Probate can take anywhere from 6 months to several years. It usually includes four steps: (1) appointing an executor, (2) collecting estate assets, (3) paying estate debts and expenses, and (4) closing the estate. Following probate, the Executor proceeds with identifying, gathering and valuing the assets, paying all creditors, filing the appropriate tax returns and distributing assets according to the directions set forth in the Will. In New York, only an estate valued over $30,000 must be probated when there is a will. An estate without a will is “administered,” not probated. The Executor files the original Will and a certified copy of the death certificate with the probate petition and other supporting documents in the Surrogate's Court in the county where the Decedent had their primary residence. The Decedent's distributees (heirs) must also be listed in the probate petition. Distributees must be served with a notice, formally called a citation. The citation gives the Surrogate's Court jurisdiction over them. This means that the Surrogate's Court has the authority to determine the rights of the people involved. A citation tells the distributee that the Executor filed for the authority to manage the Decedent's estate. The distributee can sign a waiver and consent to the appointment of the Executor or come to court to disagree with the appointment. Beneficiaries who will inherit something under the will must be notified of the probate proceeding. The filing fee is based on the size of the estate. Only probate assets are used to pay the estate’s expenses and claims. You will have to liquidate the probate assets as needed, and deposit the proceeds into the estate checking account. Usually, your primary sources of funds would be those that are already in the form of cash: savings and checking accounts, and insurance proceeds that are paid to the estate rather than a named beneficiary. If these assets are insufficient to pay all claims, you will have to sell other assets such as securities, real estate, promissory notes, vehicles, and other personal property. The decision as to which assets to sell and which to distribute to the beneficiaries ‘as is” will rest on many factors, including tax considerations and beneficiaries’ preferences, and you may well need our advice in making this decision if the estate has insufficient liquid assets. Liabilities are divided into classes, and all claims in the first class must be paid before any in the second, all those in the second class must be paid before any in the third, and so on. A typical class system is as follows: (1) funeral expenses (2) costs of administering the estate and medical expenses incurred it the decedent’s final illness; (3) debts entitled to a preference under the law of the United States and the State of New York; (4) taxes and other debts specified by state law, and (5) all other legitimate debts. If the assets are insufficient to pay all claims in a particular class, each creditor in the class will receive a uniform percentage of his or her claim. Your primary source in deciding which assets to sell is in the decedent’s will. If the will does not provide otherwise, New York law provides an order of priority in reducing gifts (bequests) made in the will, when necessary to pay claims. The gifts out of the residue of the estate are the first to be cut. If there is still a deficiency, the general money bequests (bequests of a specific amount but not from any particular source) are reduced, followed by the money bequests payable out of specific sources (i.e. from the sale of named assets). Bequests of specific property may be sold only as a last resort. The Keller Legal Group can assist you with all probate and distribution issues. Please call our law office to schedule an appointment. The small estate administration is a simplified court procedure available if the person who died did not have many assets. If an estate had a gross value of less than $30,000 in personal property that is listed solely in the decedent’s name, it can be settled upon a petition to settle a small estate. To do this you need to file a form called an "Affidavit of Voluntary Administration," also known as the "small estate affidavit. Note if the decedent owned real property only in his/her name, you CAN'T use this program. Please check NY Courts Small Estate DIY (Do-It-Yourself) Form program. This program walks you step-by-step to complete the paperwork you need and gives you helpful definitions and legal information. When you finish the program you get the court forms you need and instructions of what to do next. Under New York law, a decedent cannot completely disinherit a spouse that they were legally married to at the time of their death by intentionally omitting the spouse from the person’s will or trust. The surviving spouse has specific statutory rights under New York law to inherit an “elective” share of the assets of the deceased spouse under such circumstances. New York law says that the surviving spouse is entitled to $50,000 or one-third of the estate, or one-half if there are no children, whichever is greater. In order to collect the inheritance, a claim must be brought by the surviving spouse before the New York Surrogate’s Court within six months after the appointment of the personal representative of the decedent’s estate and within two years of the decedent’s death. The Court has the right to extend the filing period if the Court deems it necessary. The Keller Legal Group can help explain your rights under the spousal elective share. Please call our law office to schedule an appointment. The most important thing to remember when you step in as trustee is that these are not your assets. You are safeguarding them for either the grantor (if living) and/or for the beneficiaries who will receive them after the grantor dies. As a trustee, you have certain responsibilities. You must follow the instructions in the trust document. If your job as trustee takes over at the grantor’s Incapacity, then your key responsibilities mostly likely are: to oversee the care of ill person, to understands insurance benefits and limitations, looks after care of any minors and dependents, apply for disability benefits, puts together team of advisors, notify bank and others, transact necessary business, and keeps accurate records and accounting. If your job as trustee takes over at the grantor’s death, then your key responsibilities mostly likely are: to contact the attorney to review trust and process; keep the beneficiaries informed; put together team of advisors; inventory assets, determine current values; makes partial distributions if needed; collects benefits, keeps records, files tax returns, pays bills, do final accounting, distributes assets to beneficiaries as trust directs. It’s important to remember that you cannot mix trust assets with your own. You must keep separate checking accounts and investments. You cannot use trust assets for your own benefit (unless the trust authorizes it). You must treat trust beneficiaries the same; you cannot favor one over another (unless the trust says you can). Trust assets must be invested in a prudent (conservative) manner, in a way that will result in reasonable growth with minimum risk. You are responsible for keeping accurate records, filing tax returns and reporting to the beneficiaries as the trust requires. The Keller Legal Group can provide assistance and support to Trustees. We also serve as professional trustees and co-trustees. If interested in learning about our services please call our law offices to schedule an appointment.